I’ve returned from working in Melbourne with a warm glow. It’s always heart-warming to spend time with friends, colleagues and clients, in a city so pivotal in my life. 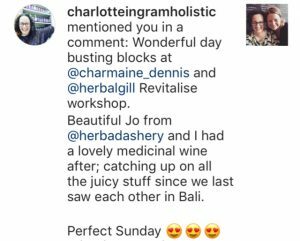 On Sunday Charmaine Dennis and I led a deep and rewarding workshop, with a brave bunch of practitioners willing to explore their blocks*. The process is simple yet transformative, and the insights of some of the participants were deeply profound. We love doing this work together and can’t wait to go even deeper on our next retreat in Bali. The special early bird price ends on 30 November and is incredible value for six days of mentoring in a beautiful eco environment with luxe accommodation and extraordinary organic food. 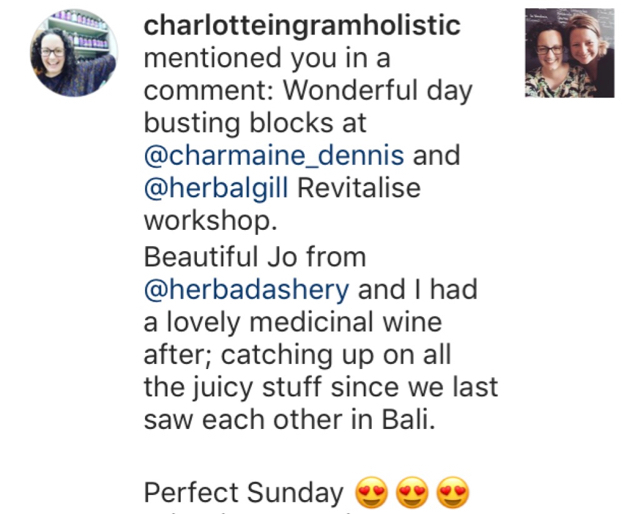 I feel so fortunate to do this work and continue my passion for naturopathy, as a few years ago I had doubts I’d still be alive, let alone thriving. Recently I celebrated a very important milestone, I’ve reached not just five years since I was diagnosed with ovarian cancer but I remain well without any recurrence. It’s a joy to be so well and loving the life I’ve created. Thanks for all the beautiful emails, that I received after sharing this milestone in my recent newsletter. Volunteering has been a constant part of my life since childhood. It’s in my DNA to be an active member of my communities and give back in meaningful ways. I recently completed my advocacy and consumer training, to play a role in research, representing those who experience cancer directly. It’s an honour to join the consumer advisory panel at the Translational Cancer Research Network. The Network brings together researchers, clinicians and consumers to facilitate the rapid translation of scientific discoveries into clinical practice, to improve patient outcomes. It’s exciting stuff and the researchers I met on my first day filled me with so much awe and hope. I’ve begun rolling out a few small changes on my site, after an eye-opening session with a gifted friend who demystified the world of information architecture. Elle is a content strategist extraordinaire, working with big brands across the country. She also runs public workshops to help small businesses, like mine, understand how to make the most of their websites. I’ve been on a mission to find something special to drink that’s alcohol-free, without tasting uninspiring or loaded with sugar. I’ve nailed it with homemade wild soda! It’s incredibly easy to make your own. At a loss for what to cook? The November seasonal food guide is up, with bonus recipes to make with the beautiful spring asparagus. Did you know that your private health insurer will soon be dropping naturopathy, herbal medicine and a dozen more complementary therapies from their ‘extras’ cover? Read how this government directive to no longer allow rebates for natural therapies impacts you, and what you can do about it. A day short of the latest deadline to opt out of My Health Record, the government has pushed the deadline out for a third time to early 2019. If you don’t know the pros and cons of the scheme, take some time to make a decision now before you have no choice. With the festive season about to begin and that inevitable rush of busy-ness as we race towards the end of year, don’t forget you can book your consultations online. 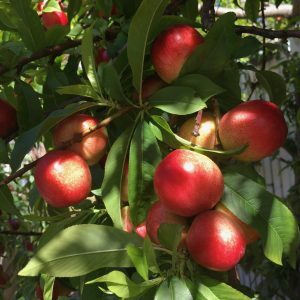 Consultations are available until 19 December, with strategies, herbs and remedies to help you sail through the season. There’s still time to embrace the season with greater energy and enjoyment. Don’t keep putting it off! *We all experience blocks, not just health professionals! Please email me if you’d like to host us to run this full day workshop with your team.